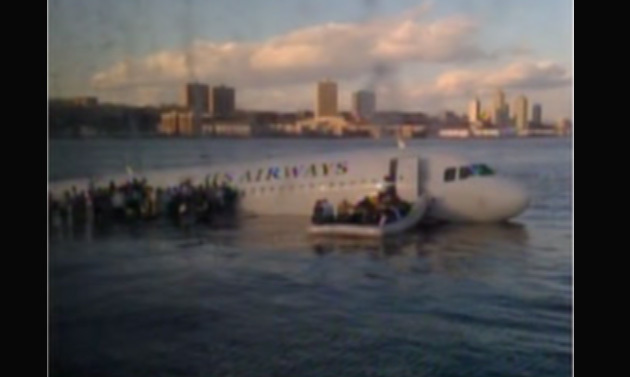 Just after 3:30 pm Thursday MSNBC broke into regular coverage to show live shots of a US Airways plane in the Hudson River, with people standing on the wings. Flight 1549 took off from Laguardia on it’s way to Charlotte at 3:26 pm. 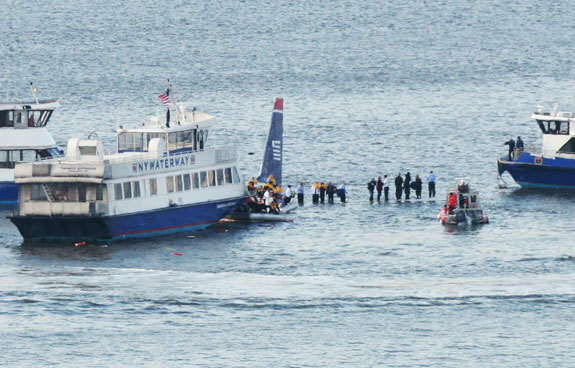 People were seen standing on the wings and getting onto ferries. The plane appeared wholly intact. The pilot reported a possible bird attack shortly after takeover. 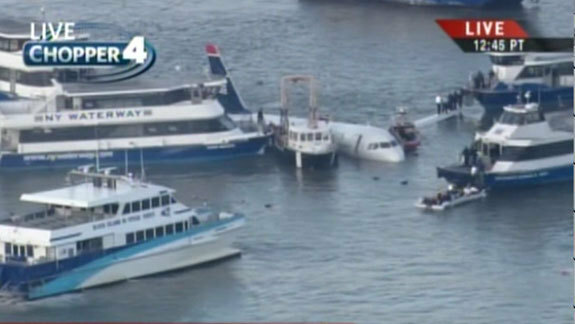 164 passengers and 5 crew members were onboard, MSNBC reports. There were reports the pilot went into a flock of geese. The weather is very cold but clear. Fabulous job … let’s change the heading. 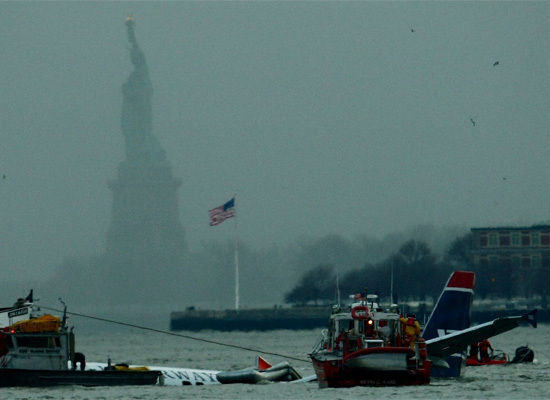 This plane did not crash – it made a successful and unscheduled landing on the Hudson River! 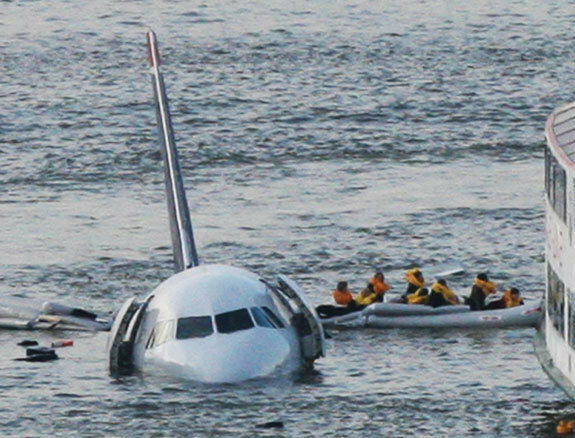 The news is using this as an excuse to whip up “did it remind you of 9/11” crap … the pilot did an absolutely amazing job of bringing this plane down totally controlled. It was not a crash…it was a textbook controlled landing. Let’s give the pilot and first officer credit for a truly awesome job of flying and setting it down safely! He did feather it in with NO engines! Both engines hit by geese they think – they coasted/surfed it down landing mid-belly then dropping the nose down last. Popped the doors and evacuated on the chutes. Temp is 11 degrees today and snowing….ick.